Karl Rove early in President George W. Bush’s Administration had a lot of Conservative Republican admirers including myself. He earned the political nickname of The Architect (Most Conservatives now believe Rove is the Architect for losing Congress after Bush) for getting Bush past a close election over Climate loon Al Gore and in essentially exposing then Senator John Kerry as a Hanoi Jane kind-of-guy probably clandestinely involved in inventing a new smear term of Swiftboating (HERE, HERE and HERE). 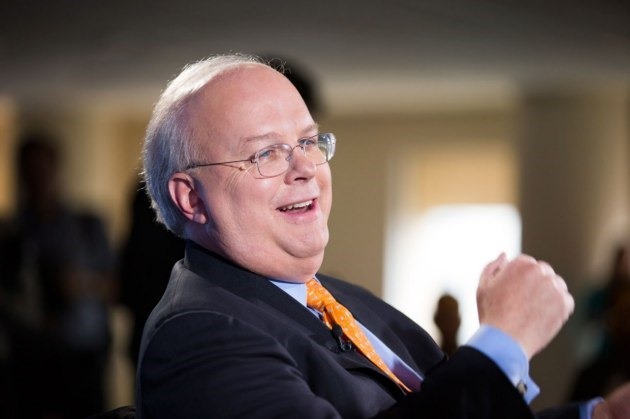 Karl Rove after informing us that the most of his 2013 came to pass, he then proceeds to deliver predictions for 2014. Loving him, hating him or indifferent about Rove; he has a few predictions that I hope he is correct about. Namely, the GOP wins the Senate and the House is still a GOP majority. But there is one prediction that absolutely has no politics involved of which I wholly indorse. I am an NFL football fan. Particularly I am a Seattle Seahawk fan and have been since the first year of their franchise existence. I grew up in Washington State and lived a 100 miles away in Eastern Washington but I went to every game during my season ticket holding days of those first few years. I was a rabid fan even those early years were losing years. I suspect that is why Seahawk fans are so loud today. Seahawk fans are not fair weather fans. The Rove prediction is a Super Bowl victory for the 2013 season played on the first Sunday in February 2014. Now that I have established what I like about Rove’s predictions here are his predictions for 2014. The penalty for ignoring ObamaCare’s individual mandate will be lifted. It’s time to see how well I did with my predictions for 2013 and to offer a set of 2014 forecasts. I got 10 predictions for this year right. President Obama’s job approval rating did drop—from 53% at year’s start to 40% this week. There was a new administration scandal, the most significant being the IRS targeting of conservative groups. And ObamaCare’s implementation was indeed “ragged and ugly” and “a continuing political advantage to Republicans” as forecast. There was no grand budget bargain with entitlement reform. Venezuela’s Hugo Chávez did die. New Jersey Gov. Chris Christie won handily and the Virginia gubernatorial race was closer (2.6%) than many experts predicted. House Judiciary Committee Republicans are working on immigration reform while the comprehensive Senate bill backed by Mr. Obama is stalled. Hillary Clinton is now the front-runner in 2016 polls while the Obama girls got a new puppy. Four predictions were wrong: unemployment hit 7% instead of 8%; Syria’s Bashar Assad remains in power; Fidel Castro is still alive and President and Mrs. George W. Bush got a granddaughter, not a grandson. In one instance, the results were half-right. The debt ceiling was raised, but Mr. Obama wasn’t forced to make spending cuts in return. So what does my crystal ball say for 2014? Mr. Obama’s Gallup disapproval rating will end higher than this week’s 53%. Republicans will keep the House with a modest pickup of 4-6 seats. The GOP will most likely end up with 50 or 51 Senate seats (in the former case, keeping Vice President Joe Biden fully occupied for two years presiding over the chamber). Control of the Senate may not be decided until December’s Louisiana runoff. Propelled by union contributions, Democrats will outspend Republicans overall in House and Senate races. Republicans will lose a net of one or two of their 30 governorships. They’ll add to their numbers in statewide offices and state legislatures and see more Latino, Asian-American, African-American and women Republicans elected up and down the ballot. Every Republican senator and virtually every representative challenged in a primary as insufficiently conservative will win. In reaction to ObamaCare, GOP political divisions are giving way to unity. Tens of millions more Americans will lose their coverage and find that new ObamaCare plans have higher premiums, larger deductibles and fewer doctors. Enrollment numbers will be smaller than projected and budget outlays will be higher. The White House will blame insurers and Republicans for the law’s continuing failures. At year’s end, Kathleen Sebelius will still be HHS Secretary. Support for ObamaCare will drop below 30%, causing congressional Democrats to clamber for major changes and delays. The administration will resist most such ideas, except lifting the individual mandate penalty for 2014. It won’t be all sweetness and light for the GOP, however. Republicans will debate joining rebellious Democrats in gutting and delaying elements of ObamaCare or leaving it alone. The White House will be even more hard-edged and partisan— and not just because of John Podesta’s addition as counselor. Mr. Obama will do what he does when in trouble: attack. Expect more liberals to blame criticism of his actions on racism. The president’s willingness to ignore or unilaterally alter provisions of laws on the statute books—otherwise known as lawlessness—will be challenged by a growing number of successful lawsuits. Wisconsin Rep. Paul Ryan will increase his already considerable influence in the House, taking the lead on GOP antipoverty efforts and presenting the most serious comprehensive health-care plan congressional Republicans have offered. Overseas, the Syrian civil war will be to Mr. Obama what Rwandan genocide was to the Clinton administration: a moral stain. Despite more American concessions, the Iranian nuclear deal will collapse as that country refuses to curtail its uranium enrichment. The administration will resign itself to a nuclear Iran and shift to “containment,” further eroding U.S. credibility with Middle East allies. The new Afghan government will sign a Status of Forces Agreement, keeping Mr. Obama from squandering progress there as he did victory in Iraq by failing to get such an agreement (though Baghdad wanted one). North Korea’s Kim Jong Un will test another nuclear device. Instead of writing New Year’s resolutions, send me your 2014 predictions, in care of The Wall Street Journal. Happy prognosticating! A version of this article appeared December 26, 2013, in the U.S. edition of The Wall Street Journal, with the headline My Fearless Political Predictions For 2014 and online at WSJ.com. Seahawk Fan and Love’in it! This diehard Hawk fan is ecstatic! The Seahawks not only won Monday Night’s football game against the New Orleans Saints but also opened a can of whupa*s. The Seahawks are now an 11-1 with their closest competitors in the NFC being 9-3 (Whupped-up Saints and Panthers). 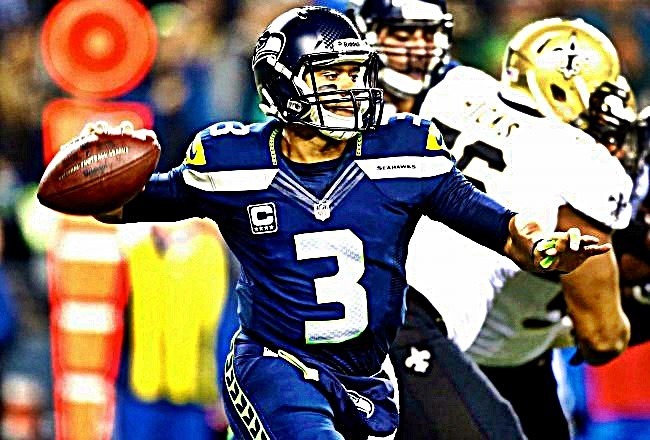 As the article “Seahawks, Russell Wilson Show They’re NFC’s Team to Beat by Demolishing Saints” says, “All roads to the Super Bowl lead through Seattle.” If you are a Seahawks fan or are following them this year as a fair weather fan you should read this article. I usually avoid posting sports on my blogs, but I have been a Seahawk faithful ever since the organization came into existence in 1976 when I lived a mere 100 miles away in Ellensburg, WA. My life journey has since led me to Oklahoma but I will always be a Seahawk fan – GO 12th MAN! Seattle — This wasn’t so much a game as it was a multi-layered coronation, done in the guise of a punch to the face, thrown by a gentleman. Instigated by an angry defense. Egged on by a volatile crowd. These are the Seattle Seahawks, officially your NFC favorite to reach the Super Bowl. Sorry San Francisco. Buh bye New Orleans. G’night, Carolina. Barring some sort of cataclysm, the road to New Jersey will go through here. That was established during the 34-7 disemboweling of the Saints on an unbelievable Monday night. It was established in the rawest, most guttural terms as the Seahawks bashed a good Saints team—strutting, shoving, battering, jawing and intimidating along the way. This game was the equivalent of the Seahawks walking to the 50-yard line while holding a baseball bat and daring anyone to enter the territory they just marked. Well step on up, dude. Let’s go. Some of you will flame the message boards and stomp your feet about the Panthers or 49ers. This year, in this moment, the 49ers aren’t winning here. Joe Montana ain’t walking through that door. If you think a team like Carolina could win in this maelstrom of violence, you need to visit a doctor’s office. What makes the Seahawks most dangerous, more dangerous than any other NFC team, isn’t solely their physicality or noisy home-field advantage, it’s the Gentleman Destroyer, Russell Wilson. Wilson has elevated himself to the position of the most well-rounded pass thrower in football not named Aaron Rodgers. This isn’t a reactionary declaration but the culmination of a steady climb up the quarterback ranks. There were passes he made against the Saints that were Tom Brady-like and moves that were Randall Cunningham-esque. The comparison for Wilson has been Fran Tarkenton, but he’s actually more Steve Young because of the power of his arm and accuracy of his throws. Before this game, in his previous 19, Wilson was 299-of-458 for 4,014 yards, 35 touchdowns and eight interceptions. According to Sports Illustrated, his passer rating of 111.2 over that span is the best in football. Coach Pete Carroll said that Wilson does so many things well he makes it almost impossible for opponents to game-plan against him. That’s definitely a true statement. Wilson had two touchdowns in the first half as the Seahawks jumped to a 27-7 lead. That means, according to the NFL, Wilson became only the fourth quarterback in league history to reach 20 touchdown passes in his first two seasons. He joins Dan Marino, Peyton Manning and Andy Dalton. Wilson is 22-6 as a starter. What Wilson did against the Saints is use his feet and athleticism to recreate the pocket once protection broke down. Shuffle, shuffle, shuffle and then throw, instead of running just to run. Wilson used almost hypnotic footwork to dodge a fatty diving at him on numerous occasions. The escape would be followed by a dart down the field. On one play, Saints defensive lineman Akiem Hicks had Wilson cold, but Wilson stepped quickly to the side and Hicks went sprawling helplessly to the ground. After the play, Hicks just sat on the turf, hands in his lap, stunned by what had just happened. Wilson does all of this with an All-American smile that hides a viciousness. Wilson at half had led the Saints to an offensive advantage of 315 total yards to 90 for New Orleans. Wilson finished 22-of-30 for 310 yards and three scores. “He’s an extraordinary person and it goes beyond his football abilities,” Carroll said. The aw-shucks stuff from Wilson is real. The talk of his work ethic is real. The player is…real. On Sunday, Wilson texted Carroll to say how happy he was with the team’s week of practice. Most players don’t send those kinds of texts to coaches. Usually, texts are sent to coaches when they want more playing time, or bail money. This Seahawks team is wonderfully athletic and formidably powerful. They can knock you out. They can outrun you. If they so choose, they can do both of the above. New Orleans had its largest halftime deficit since 2007 and Drew Brees‘ 74 passing yards through two quarters was his lowest since 2008. This was one of the few times you will ever see Sean Payton out-coached. The Seahawks are brutal and they are also not always the most likable group. In fact, what the Seahawks are is quite possibly the first Super Bowl contender that is both lovable and hate-able. Wilson is the talented teddy bear, so likable he’s Red State electable, while other components of the Seahawks can be absolutely jerkish. Wide receiver Golden Tate preens and jaws after seemingly every routine catch. On almost every occasion, Seattle defensive backs mouthed off to Saints players. There was a solid cheap shot or two from the Seahawks as well, including a nasty one in the end zone. None of this includes how Seattle has enough suspended and PED’d dudes to create their own practice squad. At CenturyLink Field, however, all of this works for Seattle. The intense crowd noise…the fervor…it creates not just an electricity but an almost elevated sense of being. Everything Seattle is elevated: the play, the energy, the water that rolls next to the stadium. The Seahawks almost can’t help themselves because the energy level acts like a propellant. It’s not Adderall—it’s 12thMan-erall. The 11-1 Seahawks are two games ahead of New Orleans and Carolina (9-3) in the NFC. The conference belongs to Seattle. If Seattle keeps playing like this, it won’t just be home-field advantage they win. Copyright © 2013 Bleacher Report, Inc. Turner Broadcasting System, Inc. All Rights Reserved. BleacherReport.com is part of Bleacher Report – Turner Sports Network, part of the Turner Sports and Entertainment Network. Author oneway2dayPosted on December 3, 2013 December 3, 2013 Categories SportsTags 12th Man, Fan, N\FL, Russell Wilson, SeahawksLeave a comment on Seahawk Fan and Love’in it! 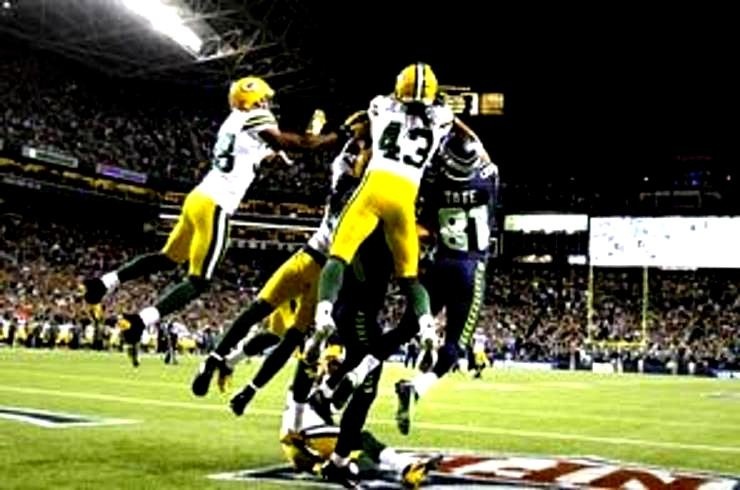 I know most of America is railing against Golden Tate’s game winning simultaneous catch for a TD at the end of the game; however the Seahawks have received so many raw deals over the last 20 years by the regular NFL Refs that a little sowing and reaping justice came to the Seahawks way. 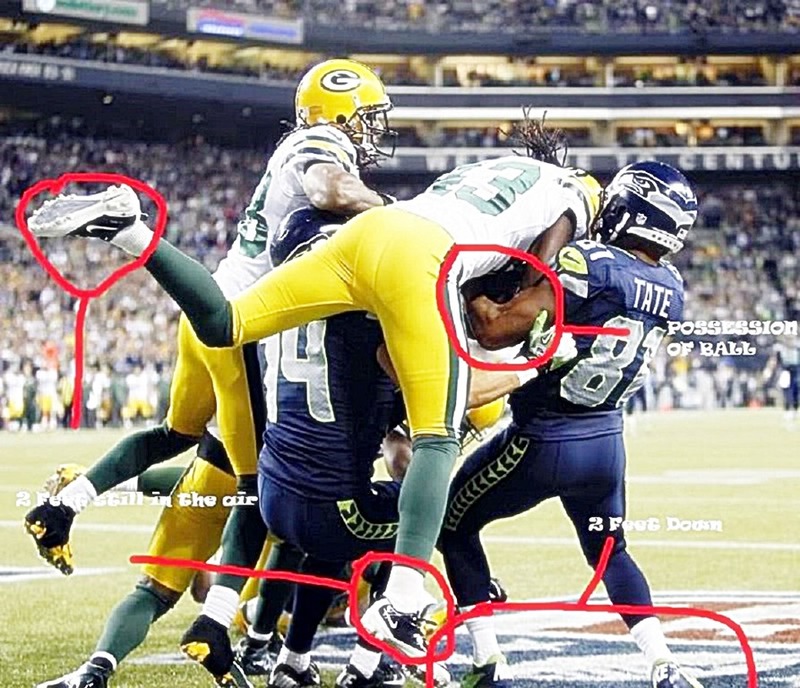 I believe Golden Tate did have the ball as much as the Green Bay defense player did; the real failure of the replacement Refs was not calling Offensive pass interference which would have annulled the simultaneous catch. AND if offense pass interference was called the Pack would have won because extended play is only allowed on a defensive penalty. No penalty was called – as is common in Hail Mary plays – thus simultaneous catch tie goes to the Offense. Okay, I know I am a political blogger. Yet here is a post that has nothing to do with politics. It is a sports piece. It is an important sports piece to me because of memory lane. 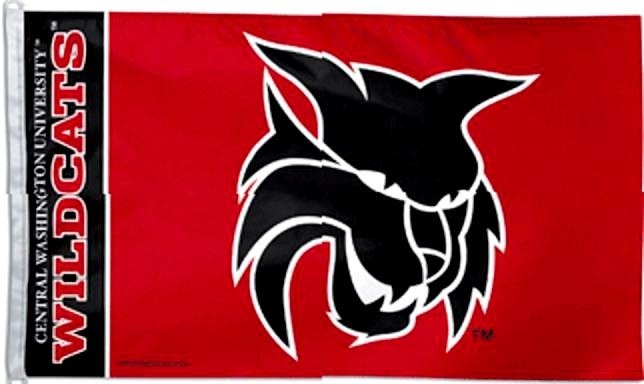 I am a 1981 graduate of Central Washington University (CWU) a college that is in the town I grew up in meaning I graduated from Ellensburg High School. After spending some time in the Tulsa, OK metropolitan area attending a Bible School known as RHEMA Bible Training Center – graduating in 1984, I spent a few more years in Tulsa the experiencing the tragedy of divorce and the joy of remarriage. In about 1994 (could be ’95) I returned to the old home town of Ellensburg. My wife and I had formed somewhat of a Brady Bunch family. Between the two of us we had five kids. We did not miss a home game of that Football Championship year. The QB for that Wildcat Championship was Jon Kitna. Kitna went on to play an amazing an amazing 16 year career in the NFL. I say “amazing” because college players from that level of small college football rarely make into the NFL let alone play for 16 years. 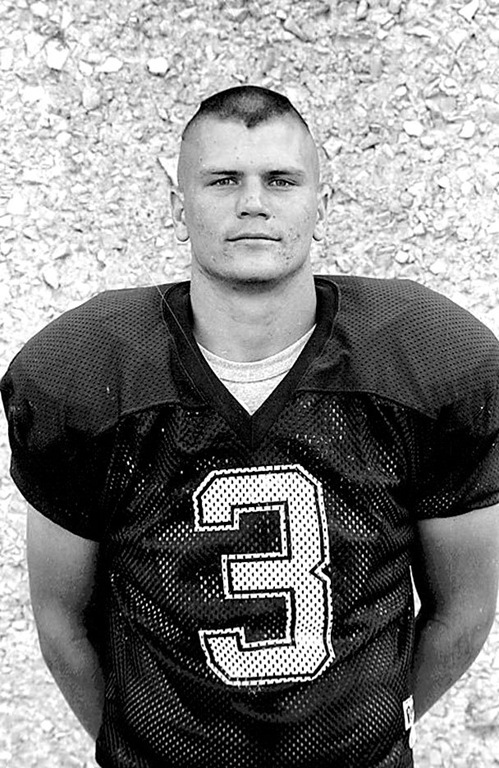 JON KITNA – Record-setting quarterback played at CWU from 1992-95 … Will be beginning his 10th season in the National Football League in 2006, including his first with the Detroit Lions … Has also played for the Seattle Seahawks (1997-2000) and Cincinnati Bengals (2001-05) … Was a free-agent signing by the Seahawks prior to the 1996 season … At Central, set numerous passing records that still stand today … Threw for 12,353 yards and 99 touchdowns over four seasons with the Wildcats … Helped lead Central to the 1995 NAIA National Championship, throwing for a school-record 4,616 yards and 42 touchdowns … First team NAIA All-American as a senior … Three-time All-CFA Mount Rainier League selection … Tacoma, Wash. (Lincoln HS). Because Kitna was a CWU alum and I am a CWU alum and I went to those home games in 1995, I followed Kitna’s pro-NFL career. Since I am a Seattle Seahawk fan through the thick and thin, I was particularly enthused that Kitna had made the Seahawk team as an undrafted Rookie Free Agent. After a couple of years Kitna was the Seahawk starting QB. Kitna was traded from Seattle after only 4 years though. Pout – that was disappointing. Nonetheless I followed Kitna’s career and he had some fantastic years passing for over 30,000 pro-football yards. After Kitna’s 16 year pro-career wrapping up as a Dallas Cowboy, he is giving back to his beginnings. Kitna has returned to his beginnings by becoming a math teacher and football coach from the High School he graduated from in Tacoma, WA. This is a story of a football hero still being a hero. Here is the story from the Seattle Times as provided by the Bleach Report. 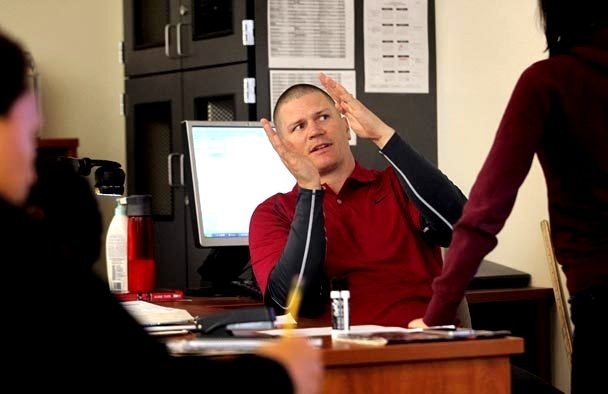 It’s his first-period math class at Lincoln High School, and yes, Kitna is working. Has been since 7 on this Thursday morning, which is when Kitna walked onto the campus of the high school he once attended, past the statue of Abraham Lincoln and into Room 102 carrying a bag full of McDonald’s breakfast sandwiches. He will spend the next three hours in this classroom on Tacoma’s east side where the clock remains stuck at 1:44. The man who spent the past 16 years studying X’s and O’s as an NFL quarterback will spend three periods explaining x to the fifth power among other assorted math quandaries. You might have heard Kitna retired. Well, that’s not true. He’s just not playing football anymore. The NFL career he never expected is over, and he’s now in his first year teaching math and coaching football, which is exactly what he hoped to do when he left college in 1996. “The NFL wasn’t supposed to happen,” says Kitna, 39. Quarterbacks from Central Washington University don’t usually move on to the NFL. Not even the really good ones, and as great as Kitna was, he graduated with a degree in math education and had every expectation his next gig would be in a classroom and not under center. He applied for his first teaching job before he signed with an NFL team. How did a man who played 16 years of professional football and made millions of dollars wind up — voluntarily — in a classroom at the most impoverished high school in Pierce County? It’s a tough question. One that Kitna himself can’t really answer, not even with one of those equations he throws at his students. He doesn’t know when he decided he was going to do this, because he can’t remember a time when this wasn’t part of his plan. “I never knew I wasn’t going to do it,” Kitna said. Which is why one of the most successful NFL quarterbacks to come out of this state shows up early in a collared golf shirt, his hair still buzzed so close you can see scalp, bringing a bag of breakfast for his students. Understanding Kitna’s conviction about this position requires you go back to when he first applied for the job. Back in March. March 1996. Bill Milus — who coached Kitna at Lincoln — had retired, and Kitna applied for the job the month before the Seahawks signed him as an undrafted free agent. He was an NAIA All-American on a national championship team and perhaps fortuitously was college teammates with the nephew of Dennis Erickson, the Seahawks’ coach at the time. Kitna spent 1996 on Seattle’s scout team instead of in a Tacoma classroom. It was the starting point for a pro career as unlikely as it was impressive. He was World Bowl MVP while playing in Europe, a backup to Warren Moon and the first starting quarterback for Mike Holmgren in Seattle. He started 124 NFL games, playing for the Bengals, Lions and Cowboys after leaving Seattle in 2001. He passed for almost 30,000 yards. Plenty of people say they won’t let the NFL change them, but Kitna demonstrated that. Football was a career; teaching was a calling. Jon Kitna used to talk about taking some time off after he stopped playing. At least a year, maybe two. But then Jennifer began to notice that the longer her husband played, the shorter the amount of time he talked about taking off. All of that explains how the Kitnas wound up at a coffee shop on South Ninth Street and Broadway in Tacoma last November, meeting with Pat Erwin, Lincoln’s principal. Kitna was the Dallas Cowboys’ backup at the time, his second year with the team. He suffered a back injury earlier that month in practice. A bulging disk that he’d had for years had become a herniated disk, and Kitna had decided that 2011 would be his last year in the NFL. “We weren’t the only school that was interested in Jon,” Erwin said. But there wasn’t going to be a better fit than Lincoln. Mike Merrill — Lincoln’s previous football coach — became the athletic director, and the school didn’t hire a coach so much as it staged a homecoming when it introduced Kitna. “If it was going to be in the city, it would have been real hard for it to be anywhere besides here,” Kitna said. Here at the school he once attended, as did his parents. Here at a school that hasn’t made the state playoffs since 2003 and had the same weight room that Kitna used when he attended. His son, Jordan, will enroll at Lincoln as a freshman next year, becoming the third generation of Kitnas to attend the school. So after he was introduced in January, Kitna came to Erwin and said he and his wife wanted to buy all new equipment for that weight room. Fantastic, said Erwin, but first they’d have to go to the school board to get approval since the project was going to exceed $50,000. On Feb. 24, they got permission to install the weight-room equipment that by then was already waiting in the trucks outside. And so the heavy lifting of building Kitna’s program started. “Charles, how much do you weigh?” Kitna asks. He’s talking to a sophomore who stopped by his classroom before school starts. Charles wears socks that read, “I (heart) haters.” Charles weighs 135 pounds, and he’s been attending the weight-training sessions Kitna runs after school. Charles didn’t play football and had never lifted weights until Kitna arrived at Lincoln. Now, he takes his shirt off during the workouts, and if there’s an ounce of fat among those 135 pounds, it’s not evident. The kid is shredded. Kitna has a rapport in the classroom. A natural ability to communicate with these kids, which is good, because the rest of this job is hard. Start with the fact that Kitna is used to learning a playbook, not putting one together for the day’s lesson. Throw in the overhead projectors and the graphing calculators — which Kitna didn’t use in high school — and, well, there are times when staring down a blitz would feel more comfortable than standing in the pocket of his classroom. “The technology is completely overwhelming,” Kitna says. His classroom is open before the school day starts, and the teacher who was looking for open receivers last year is now looking for opportunities to assist. He thanks a student named Anthony who comes in for extra help. It’s not hard to imagine a former NFL quarterback filling his afternoons with football. It’s tougher to imagine that same man — a guy who was making $3 million last year — arriving on campus at 7 a.m. and bringing breakfast for kids who need extra help, hosting a home room and then teaching two periods of algebra. That’s what makes Kitna’s return so extraordinary. “We don’t believe that we’ve been given all we’ve been given to just enjoy a comfortable life,” he says. This was the path Kitna and his family wanted. One he planned for, and while he ended up in the classroom much later than he expected, he’s here now. Back at the school he attended before heading off to Central Washington, where he started out as the last of 12 quarterbacks and played his way not just to the starting job, but to a pro career. His career is proof of the potential that is contained within these halls, something he points out. There are about 2,000 players in the NFL at any given time, and every year as many as 400 rookies come looking to take someone’s place at the table. Two years ago, Kitna went and looked up how many players from his rookie class remained in the league. He counted six, and two of them attended Lincoln: Kitna and safety Lawyer Milloy, his high-school teammate and the best athlete to ever come out of Lincoln. That reality provides the backbone of the rallying cry. Kitna’s expectations are high. He has visions of an alumni association whose donating members number in the thousands, and Jennifer has turned the school’s booster club into a registered charity. The school has a new weight room, the football program a new energy and in Room 102 there’s a first-year math teacher standing at the front of his classroom watching his students complete their assignment. In 1995, Central Washington won the NAIA national championship with Kitna as their QB. Noteworthy: Named MVP in NFL Europe when he led Barcelona to 1997 World Bowl Championship. Danny O’Neil: 206-464-2364 or doneil@seattletimes.com. On Twitter @dannyoneil. For diehard Seattle Seahawks fans who are used to football legends producing winning seasons, this is welcome news: Jim Mora was fired as head coach. The Seahawks have fired head coach Jim Mora after just one year, FOXSports.com has learned. It’s curious that Seattle would make such a move so soon. Mora took over a 4-12 team, and this year’s squad was decimated by injuries and had to endure a general manager leaving during the year. The Seahawks finished 5-11 this year, third place in the NFC West. They finished the year on a four-game losing streak during which they failed to score more than 13 points in any game. Seattle has already called for permission to interview other assistants. Likely candidates include Vikings defensive coordinator Leslie Frazier, among others. Mora, 48, previously coached the Atlanta Falcons from 2004-2006 and led them to an 11-5 record and the NFC championship game in his first season. He was an assistant head coach with the Seahawks from 2007-2008 before taking over the head job. The news comes at the end of a week that has featured plenty of NFL coaching headlines. The Bills dismissed their entire coaching staff, the Redskins replaced Jim Zorn with Mike Shanahan and Charlie Weis became the Chiefs new offensive coordinator, to name a few. Senior NFL Writer Jay Glazer is one of the NFL’s top insiders. He provides breaking news, columns and video content to FOXSports.com, and he also appears on TV every week as part of the FOX NFL Sunday team. © 2010 Fox Sports Interactive Media, LLC. All rights reserved. I was in my early 20’s when the Sonics finally emerged from mediocre to a great team in the NBA. They went to the Championship in 77/78 and lost a close and exciting series. The following year the Sonics electrified the entire State of Washington by winning the 78/79 Championship series. For years the Sonics was the only pro sport in Washington State. In 78/79 the Seahawks were still considered an expansion team. I grew up in the Evergreen State and loved the Sonics. It is quite the surprise the Seattle Sonics are moving to Oklahoma City. I am a Washingtonian living as an Okie these days so I have mixed feelings about the move. It is sad for Seattle to lose such a pro heritage; however it is exciting to have the potential to watch the Sonics in my neck of the woods. OKLAHOMA CITY (AP) _ The Oklahoma City Council today unanimously approved a preliminary lease agreement with the Seattle SuperSonics. Sonics owner and Oklahoma City businessman Clay Bennett is asking the NBA to approve moving the team to Oklahoma City. The council action comes as NBA Commissioner David Stern and members of the league’s relocation committee are to visit the city today. The 15-year deal is dependent on the team moving to Oklahoma City and calls for the city to renovate the Ford Center and build a practice facility with the Sonics renting the facilities. City voters recently approved a sales tax extension to pay for the projects. © 2008 Clear Channel Broadcasting, Inc.